Writers, actors, and fans often call Joss Whedon a genius. It’s easy to see why. Whedon, who got his start writing for Roseanne, dreamed of writing movie screenplays. He got his shot when he sold his script for Buffy the Vampire Slayer, but the movie fell far short of his hopes for it. After a few years of working as a script doctor, Whedon got the chance to doBuffyagain, this time as a TV show. Few expected it to succeed, but Whedon’s humor and intelligence shone through in the scripts, and viewers quickly became attached to the engaging, witty characters. Buffy kept getting better: each season of the show featured a complex story arc possessed of a real sense of danger and further developed the characters. The last few years have brought the Buffy spin-off Angel, the lamentably canceled Firefly (a space western), and the comic book Fray. Engaging and filled with fun quotes, this is a must-read for Whedon’s many fans. In every generation there's a chosen one. 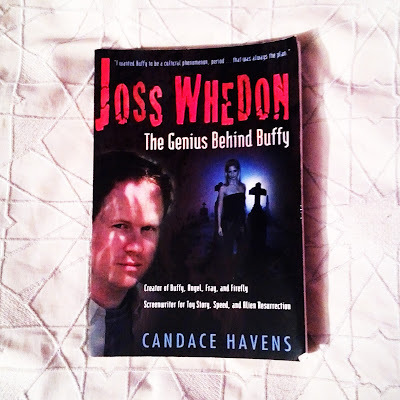 Buffy Summers, Angel, captain Mal Reynolds or Dr. Horrible are just some of Joss Whedon's contributions to popular culture, characters who join the great Marvel superheroes and the myths of cinema and literature to shape an influential work of almost two decades. This book, the first in Spanish about the author, performs a full tour of the universes of Whedon's fiction, from its first great creation, Buffy the Vampire Slayer, to his latest incursions into films, including the movie that helped him move from cult author to director recognized by the public at large: The Avengers. Be prepared for a journey through galaxies and dimensions where we will discover why Joss Whedon is one of the most important names in the entertainment industry. In its seven years on television, Buffy the Vampire Slayer earned critical acclaim and a massive cult following among teen viewers. One of the most distinguishing features of the show is the innovative way its writers play with language--fabricating new words, morphing existing ones, and throwing usage on its head. The result has been a strikingly resonant lexicon that reflects the power of both youth culture and television in the evolution of American slang. 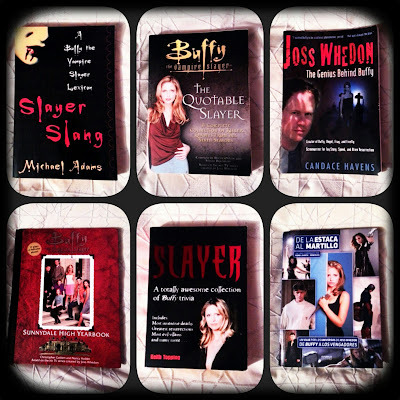 Using the show to illustrate how new slang is formed, transformed, and transmitted, Slayer Slang is one of those rare books that combines a serious explanation of a pop culture phenomenon with an engrossing read for Buffy fans, language mavens, and pop culture critics. 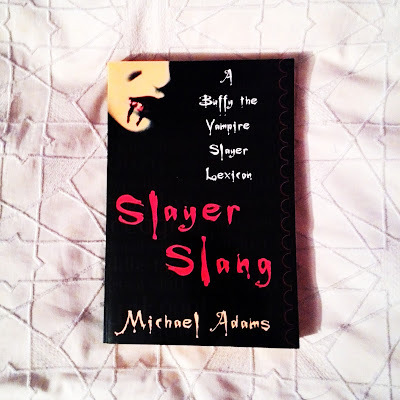 Noted linguist Michael Adams offers a synopsis of the program's history, an essay on the nature and evolution of the show's language, and a detailed glossary of slayer slang, annotated with actual dialogue. Introduced by Jane Espenson, one of the show's most inventive writers (and herself a linguist), Slayer Slang offers a quintessential example of contemporary youth culture serving as a vehicle for slang. 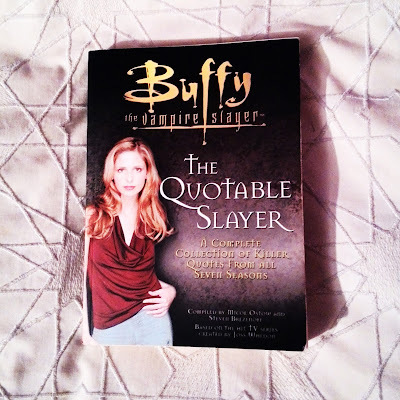 From the very beginning, Buffy's snappy, sparkling dialogue and incisive insight into the human condition has been acclaimed by critics and fans alike. 'Writing as good as that for Hill Street Blues, The Simpsons or...Alan Bleasdale at his best' said the Guardian as far back as season one. 'The only show outside Larry Sanders where you rewind to confirm that the wit was that dark' said the style gurus on Uncut four seasons later. 'Wittier than The West Wing' affirmed Time magazine. On the internet, fan sites abound with choice quotes painstakingly culled from favourite episodes, and no episode review is complete without a 'best dialogue' postcript. THE QUOTABLE SLAYER collects of hundreds of quotes from all seven seasons of the show, categorised by character and by subject and illustrated in both black and white and colour. Whether pithy or moving, funny or profound: the complete range of this remarkable drama is here for fans to refer to again and again. the ideal gift for the true Buffy fan. It's senior year for Buffy Summers and her friends. And that means homecoming, senior prom, finals, graduation -- all the usual evil doings guaranteed to make the Chosen One long for recess. Slayer duties caused Buffy to miss picking up her Yearbook, so Willow took it for her and enlisted the help of Xander, 0z, Cordelia, Giles, and Angel to make it truly special. Filled with personal notes, candid photos, and in-jokes about Slayerfest, Halloween, substitute teachers, the principal who was eaten, Ascension, etc. 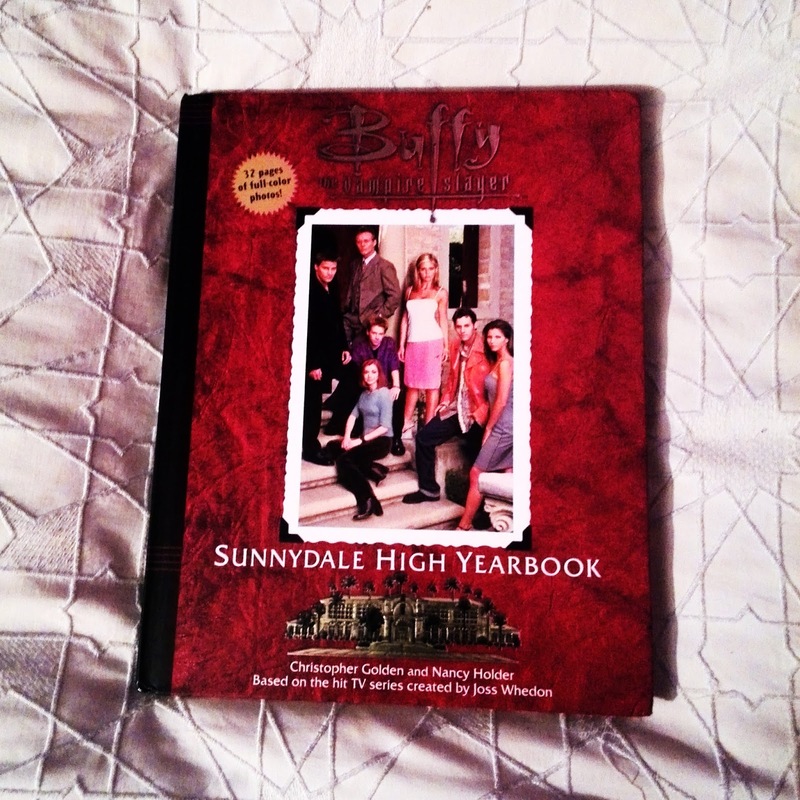 -- Buffy's Yearbook is part school publication, part memory book. Written by the authors of the bestselling "The Watcher's Guide," this keepsake volume is packed with key references to the show and characters, 32 full-color pages of fan-favorite moments, and Graduation photos.